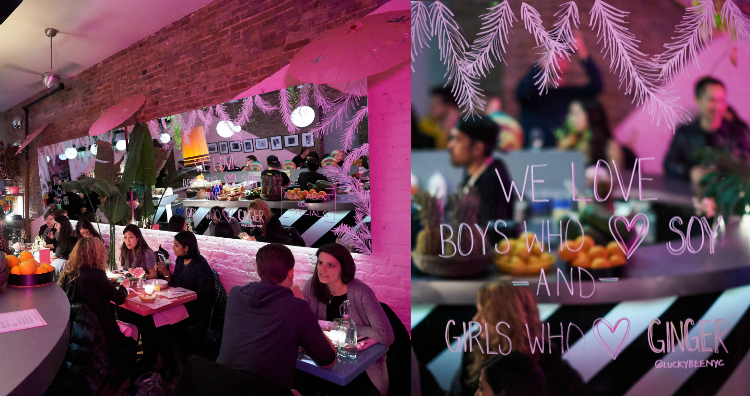 OUT visited the couple's neon pink Thai eatery in LES. Tucked away on a secluded Broome Street in Manhattan's Lower East Side is a glowing neon pink eatery where the city’s most relevant influencers frequent. 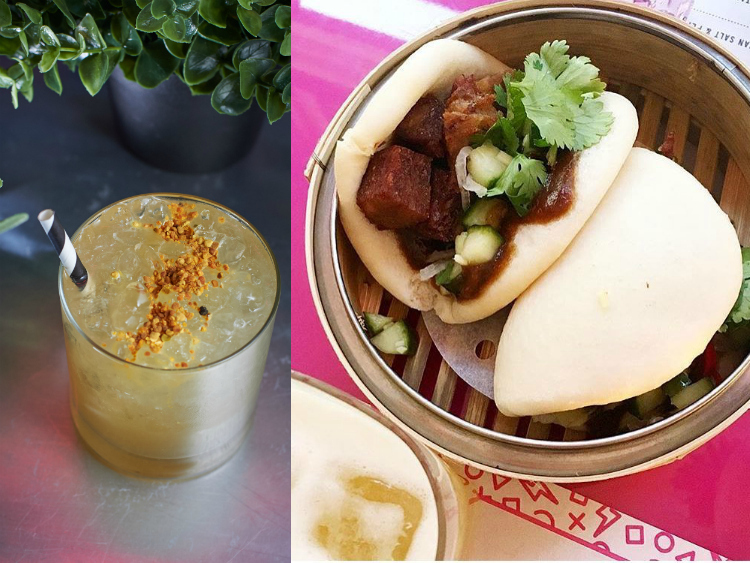 The Lucky Bee offers a seasonal menu of farm-to-table Southeast Asian cuisine with a vibrant atmosphere that makes every guest feel like they’re at the cool table. Actors, musicians and members of the fashion community are flocking to the restaurant, making it a popular downtown locale. The success of the budding establishment is due to its trendsetting owners and operators, Matty Bennett and Rupert Noffs. 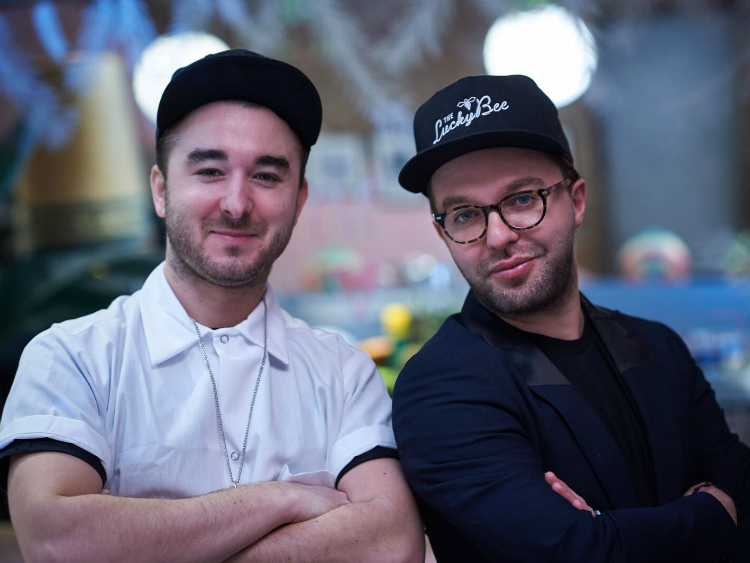 The business partners and husbands have translated their relationship into the Lucky Bee's distinctive aesthetic, with Matty heading cuisine and Rupert heading style. OUT recently stopped by the restaurant to sit down with the couple and hear their adorable love story. When Rupert finished drama school in 2002, he took a gig performing on a cruise ship where he first met Matty, a DJ and lighting technician for the show. Their friendship quickly grew, blossoming into a strong romance. After the cruise ended, Matty moved back to Australia with Rupert where he began working for Longrain, a leading Thai restaurant in Sydney. Eventually, the two moved to New York where Matty started at the Fat Radish, and later worked for a private chef who catered to the likes of Sarah Jessica Parker and LL Cool J. The natural next step for Rupert and Matty was to open their own restaurant together. With Matty running the kitchen as head chef, Rupert took the establishment’s interior into his own hands to fill a stylish niche for the Lower East Side’s ever-evolving food scene. He took inspiration from the Royal Hawaiian Hotel and the Beverly Hills Hotel with their palm leaves and pink stucco walls. Matty’s seasonal Thai selections work wonderfully with the restaurant's neon-lit decor. A favorite of Barbra Streisand, the twice cooked pork hock bao bun with hoisin, cucumber and chili relish was a standout. For the vegan in the party, the green curry of market vegetables with pickled mustard greens hits the spot. Having frequented Southeast Asia together, they found their inspiration not only in the excitement of the food but the energy of Bangkok. Lucky Bee has also become known for its honey-infused cocktails, playing off the name of the restaurant. Their goal is to put hives on the rooftop for harvesting their own honey. 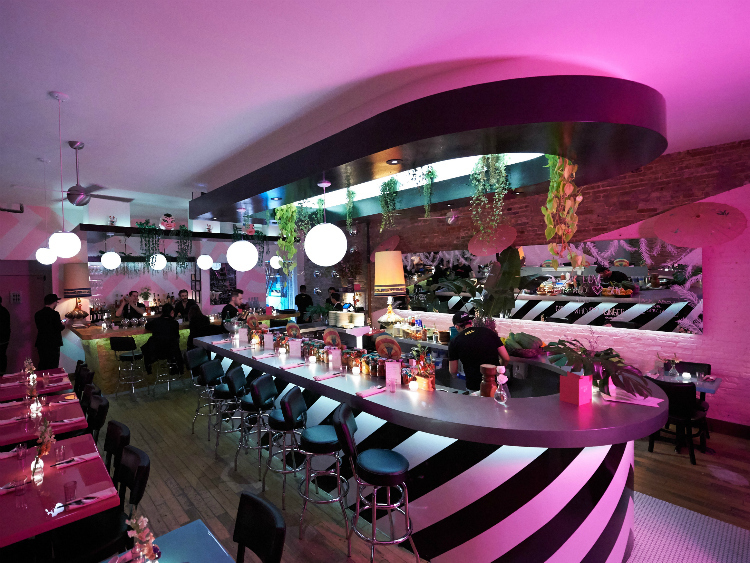 The Lucky Bee is located at 252 Broome Street, and is now open for brunch on the weekends. Rupert and Matty will be opening a second location in the Hamptons this Memorial Day weekend.